If you have purchased the book and would like the blank templates and extra content, click here. The most popular home-gym equipment in the United States, door frame pull-up bars are remarkably effective for toning the body and building muscle. 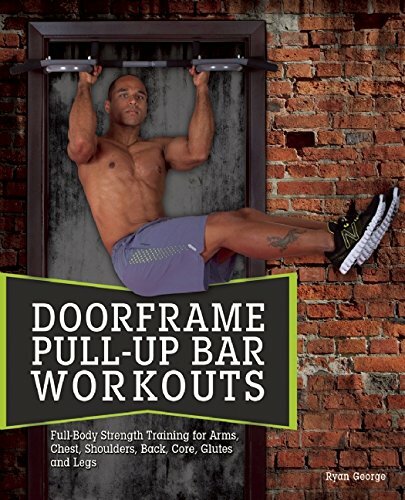 Doorframe Pull-Up Bar Workouts is the ultimate guide to maximizing the use of these inexpensive, easy-to-use, and highly versatile workout tools. With exercises that go way beyond simple pull-ups and chin-ups, Doorframe Pull-Up Bar Workouts delivers day-by-day workout regimens that tone and shape the entire body. Hundreds of helpful photographs illustrate how to develop ripped abs and obliques with hanging crunches and supported sit-ups; build pectoral, shoulder, and back muscles with a range of inclined and decline push-ups; and tone and build the arms with a range of pull-ups and chin-ups that effectively isolate individual muscle groups for maximum results.